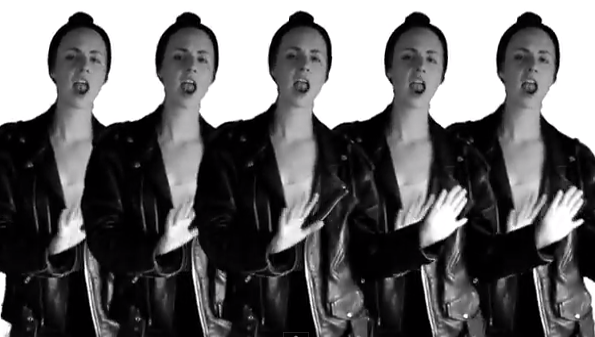 MØ baby has a new video for us y’all. The up-and-coming Copenhagen-hailing electro-pop princess also known as Karen Marie Ørsted has released a new video for her single “Never Wanna Know.” It’s made in typical MØ fashion – Black and white with a hodgepodge of old random clips, and her seemingly dancing around in her room somberly. The new pop song has a sad Lana Del Rey-esque beach vibe to it, and it’s dig-worthy. Not sure if this entirely makes up for her cancelled San Francisco show yesterday, but it helps. Have a listen and watch the video for “Never Wanna Know,” which can be found on her forthcoming EP Bikini Daze due out October 20th.